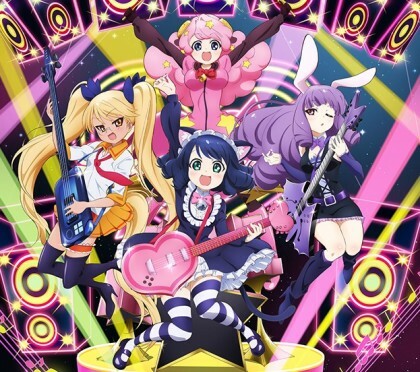 "Shian", a high school girl who wants to join a band, suddenly sucked into a mobile app game, “Show By Rock!!”. In the game world, she joins a girl’s band “Plazmagica” and battle against dark monsters using interments. The band is still an indie band and in order to become more major, they need to keep on winning band battles against other rival bands or fighting dark monsters. In this special world, when the band becomes battle mode, the characters become Super Deluxe (SD) form in this animation.